Helen trained as a general nurse and has worked in the NHS for 37 years. 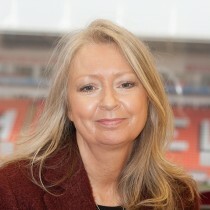 She retired from her role as Executive Nurse at Blackpool CCG in March 2017. She has a range of nursing and management experience covering acute provision, project management and NHS commissioning. Helen has held a number of senior roles including Director of Adult Community Services and Director and Nursing and Quality. Her focus remains on quality, safety and safeguarding.